Are you looking to drop a few kgs, lose that belly, build some pecs and develop a body shape you will be proud to show off? Pull Up Mate is all you need. With hundreds of workout routines available, yet the basics of pull ups and dips always there to practice and perfect, Pull Up Mate is the solution. It's a pull up station, compact dip station and sturdy full-height pull up bar in one. Instead of getting home tired from work and having to slog everything up to the gym, Pull Up Mate allows you to workout in your own front room, with your own music, and your own self-determination. Pull Up Mate is strong, yet lightweight and easy to assemble. It can be packed away flat; hidden in the cupboard or behind the sofa, and brought out and put together in just a few short minutes. After playing with mine this morning I'm very impressed by the quality and price of this product not only as a PT and Rock Climbing Instructor but as a Calisthenics enthusiast I just love it and will be recommending it to all my clients. Amazing delivery time, especially as I ordered on the 23rd December! Really friendly customer service! Set it all up today within 10 minutes! Two very happy gymnasts! Thank you!! Super fast delivery. Ordered it two days before xmas and it arrived on the 29th. Very well made and well packaged! Minutes to assemble. Had no issues with the lock pins. Felt very sturdy. Can't wait to put it into good use! Fast shipping, arrived in 3 days. I like pull up mate is portable and enough stable. Great job staff. The best for home gym with less space. This is a great product, I missed pull ups when I left the gym and went back to martial arts. The revolutionary Pull Up Mate; the original, affordable home fitness solution offers you the chance to workout in a massive variety of ways on your own equipment, in your own time, to your own rules. Available now with wide-grip forms as standard, the Pull Up Mate costs from as little as £119.95 with free delivery, and is built to last a lifetime. Whether you're male or female, at beginner, intermediate or advanced training level, Pull Up Mate X is for you. Say goodbye to gym memberships, fad diets and false promises. Say hello to the last workout guide you'll ever need. Pull up Mate is a revolution in portable and storable home exercise equipment. 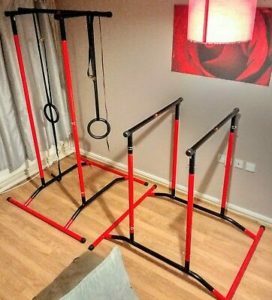 With its easy to assemble and disassemble frame, allowing it to be packed away almost flat, Pull Up Mate enables you to carry out a range of exercises on one single piece of equipment in your own home. The workouts you perform work your body against itself, with your own body mass providing the resistance. You can make exercises more or less difficult simply by changing body and grip position. Once you have ﬁnished, you can pack away Pull Up Mate easily within 60 seconds and store it for the next workout. Being heavily tested by ﬁtness professionals, Pull Up Mate is guaranteed to get your physique just how you want it, with cardio and muscle-burning workout techniques that push your body to its limit without stressing your wallet.